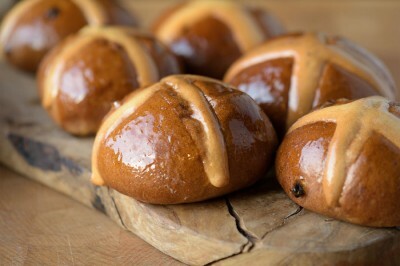 Join us for a morning of Easter baking and cake making in our cookery school this Easter weekend. We will teach you to bake all sorts of Easter treats, perfect to be enjoyed by all the family over Easter or to give to friends and family as a unique Easter gift. During the session you will make with you to take home - Carrot cake with white chocolate and lemon frosting, crystallised hazelnuts, Hot cross buns, decorated Easter biscuits and Simnel cake. Take home with you all cakes, biscuits and buns made during the session along with notes and recipes from the session.